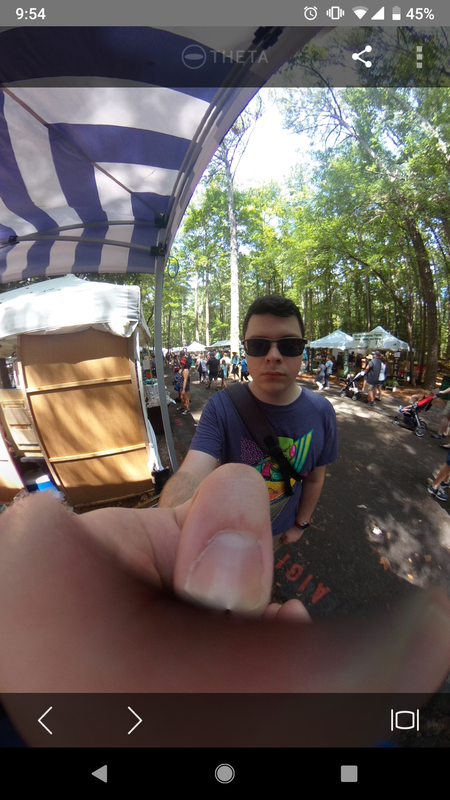 I think the Theta V is a great camera, and I have very few complaints with it. However, you'll probably need a good reason to spend nearly $400 on one. 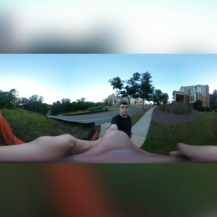 Image quality The Theta V takes very good photos and video. Design It's compact and lightweight. Software The official mobile apps, particularly the Theta+ editing tool, are fantastic. 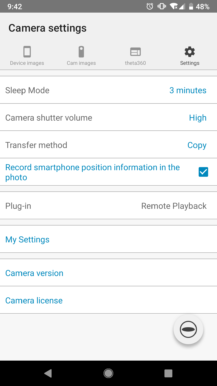 Compatibility The camera works with all Android (5.0+) and iOS (10+) devices. You can also connect it to a computer via USB to transfer media. Accessories A number of first-party accessories are available, including cases, strap attachments, and external microphones. Price $400 is really expensive. The official accessories are also pricey. Design (again) The side buttons are hard to press, and there is no water-proofing. Storage No microSD card slot. 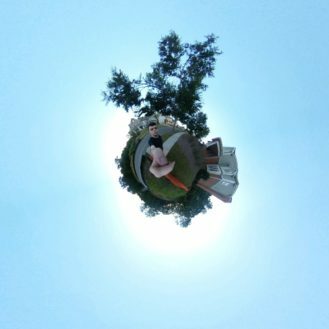 The most surprising aspect of the Theta V is just how small it is. At 131mm (5 inches) tall and 45mm (1.7 inches) wide, it easily fits in any pocket or bag. The camera is fairly easy to hold, but it doesn't curve to fit your hand like the Gear 360 - it's as flat as a smartphone. Unfortunately, there's no water resistance - that's what the $200 TW-1 case is for. On the front of the Theta V, you'll find a lens, a microphone, a status light, a shutter button, and light-up indicators for Wi-Fi/capture mode/storage. On the back side is another lens and another microphone. On the right side, there are more controls - a power button, a Wi-Fi toggle, and a button for switching between video and image capture. The side controls are a bit difficult to use, since the buttons are level with the frame and don't stick out. The top of the unit has two more microphones, adding up to a total of four mics. 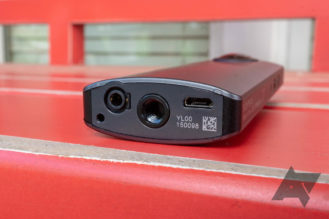 On the bottom are three connectors - a microUSB 2.0 port for charging and data transfer, a proprietary port for the optional 3D microphone, and a tripod mount. 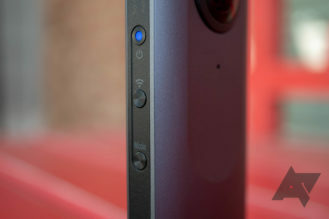 One feature missing from the Theta V's design is a microSD card slot, which most other 360-degree cameras have. As such, you're stuck with the camera's ~19GB of internal storage. 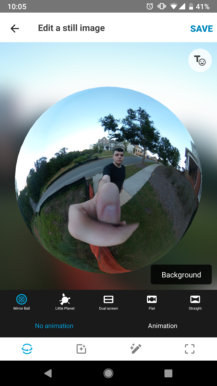 While you can connect the Theta V to a computer and copy the pictures and video like a typical camera, the mobile companion app offers far more functionality. 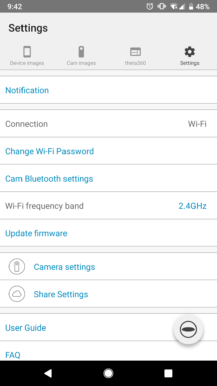 Once you select the camera's Wi-Fi network in the system settings, you can see a live preview, adjust the capture settings, take images, and start/stop a video recording. There is a slight delay in the preview, but other than that, it works well. The first tab displays images and video already transferred from the Theta V. Tapping on an item opens it in a 360-degree viewer, where you can pan around to change the view. There's a button at the bottom for switching to a VR mode. 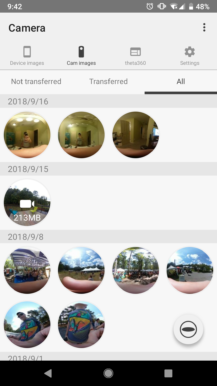 Images from the Theta V are recognized as photospheres in Google Photos, so you can view them in the Photos app as well. The second tab has a list of all media stored on the Theta V, including files not yet transferred to your phone. Tapping on an item will begin the transfer process, if it hasn't been copied already. When you download video recordings to your phone, you have the option of down-scaling the videos to 1080p, since some devices can't play 4K media without stuttering. The settings menu has a few useful options. 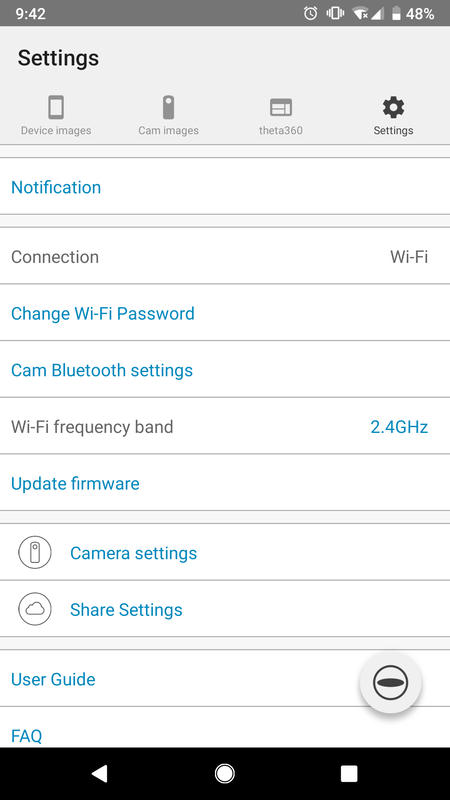 You can change the Wi-Fi password, which is probably a good idea if your photos are sensitive at all - by default, the password is embedded in the camera's network name. 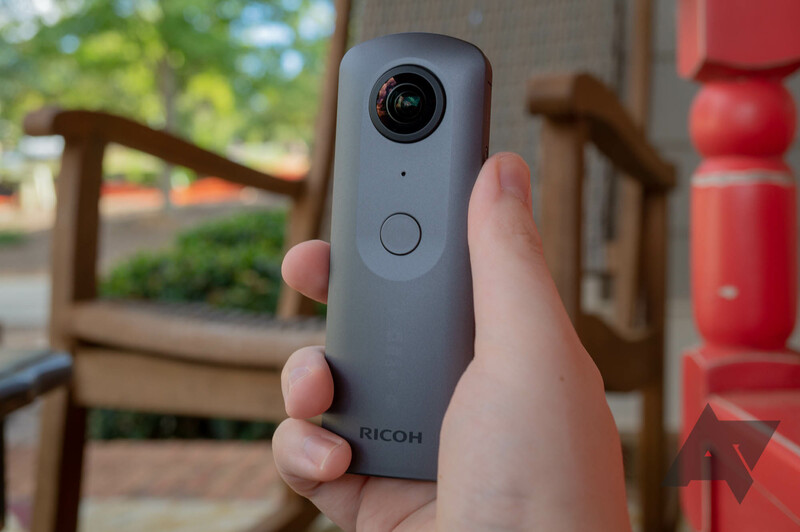 The frequency can also be switched from 2.4GHz to 5Ghz, or you can set up Bluetooth (which can only be used for remote shutter control, not for copying recordings). The firmware can be updated from the app, which is a nice touch - most accessories like this require a PC for system updates. Overall, the Theta V app is good. The interface isn't the best, with mismatching UI elements from both iOS and Android, but it functionally works. The main application has almost no editing capabilities, so if you want to touch up your pictures and videos, you'll need to download the separate 'Theta+' app. It has a massive array of filters, display modes, and text options you can play with. 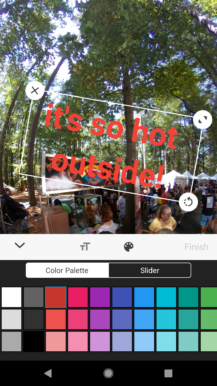 It's like the Instagram photo editor on steroids. The first tab lets you pick from a few different photo modes, including Mirror ball (which looks like you're in a bubble), Little planet, Dual screen (which has two mirror balls, each from the opposite perspective), Flat, and Straight. You can drag your finger around the screen to change the perspective. Examples of each option are below; I've used the 1:1 crop option for all of them, but other aspect ratios are available. The second tab has a handful of generic filter options (Black & white, Sepia, etc), and the third tab has several photo adjustments (exposure, contrast, brightness, etc). There's a floating button at the top-right for the annotation feature, which allows you to embed text and stickers in the image itself - not just on top of the 2D rendering. It's a great feature. 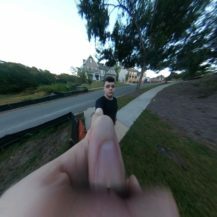 In addition to the still photo capabilities, you can also create an animation rotating the view around with your finger. 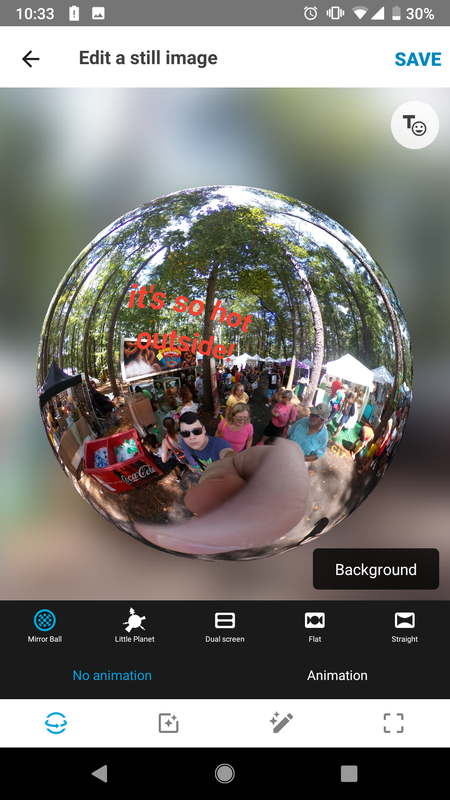 This is especially useful if you're sharing media to somewhere that doesn't have a 360-degree photo viewer, like Twitter. Once you crop the media to your liking, you can save it to your phone, or directly share it to various social media sites. 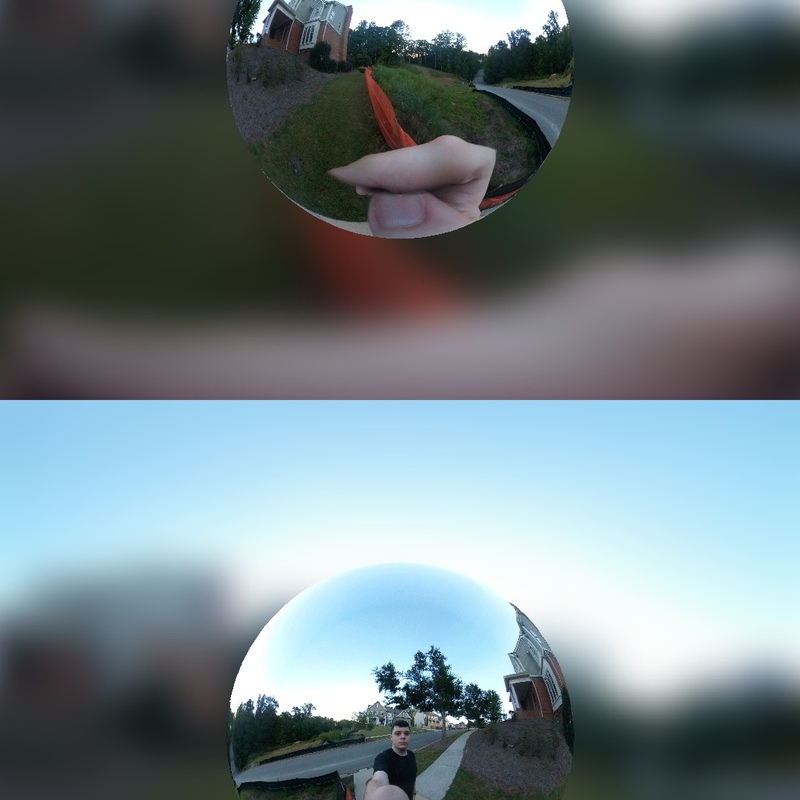 The Theta+ app is definitely very good, once you get used to the somewhat-confusing interface (particularly with the annotation feature). It's a must-have for anyone buying this camera. As a side note, there are a number of 1-star reviews from people unable to open any photos from the main screen. I didn't experience this problem on my 2016 Google Pixel running Android 9.0, but you don't even have to select pictures from the Theta+ app. 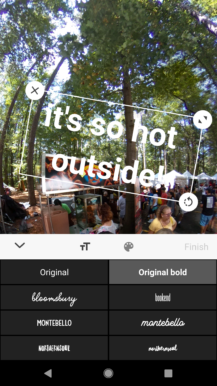 If you open a picture in the normal Theta application, there's an 'Edit in Theta+' option in the overflow menu. The main reason for the Theta V's high price is the professional-level photo and video quality, as well as the manual controls. 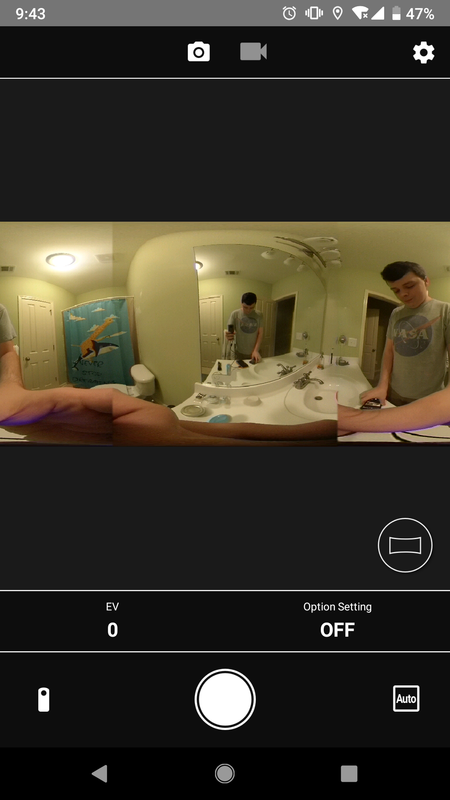 While a few other consumer 360-degree cameras can now record in 4K, they don't match the Theta V's versatility. 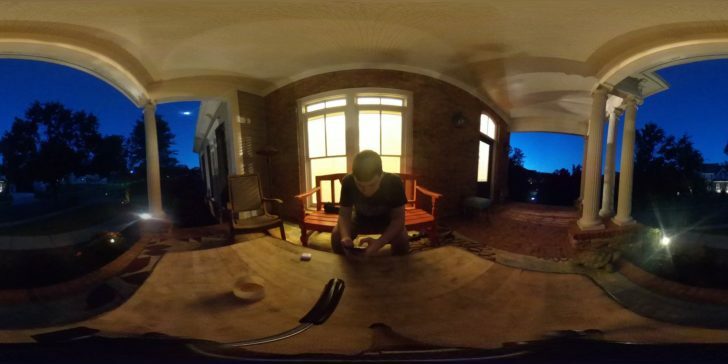 For example, the 2017 Samsung Gear 360 has an ISO limit of 1600, while the Theta V can go all the way up to 3200. It's like comparing a smartphone camera to a DSLR; not everyone needs one, but in the hands of an experienced photographer who knows how to balance shutter speed and ISO, it's vastly more useful. First, photo quality. Images taken on the Theta V generally look very good. In Auto mode, pictures are vivid with good color balance. 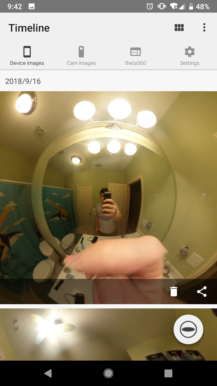 The 'split' in each image, where the separate captures from each wide-angle lens are stitched together, is very difficult to spot unless you're holding the camera with your hand (as opposed to mounting it on a tripod or selfie stick). I found the auto mode was good enough in most situations - including in dark areas - that I never needed to switch to manual. As with a DSLR, there are cases where manual mode will provide a better picture. If your hands are shaky, you can increase the shutter speed to reduce blurriness. If you're taking a picture of the night sky, bumping up the ISO will show more stars. 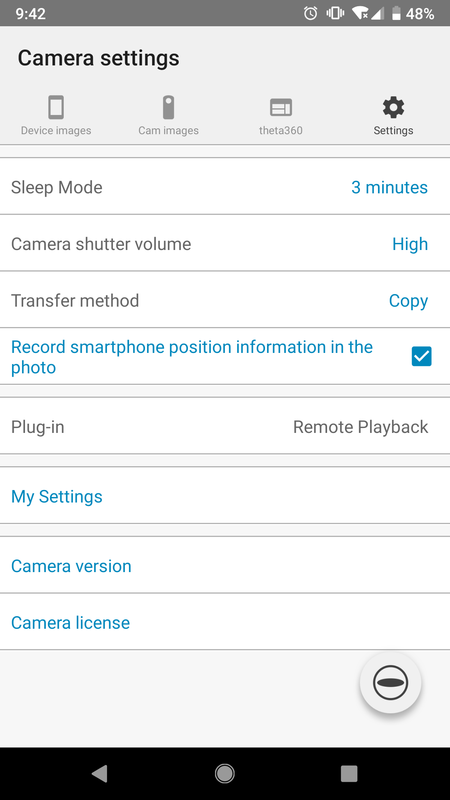 The mobile app has full manual mode (where both ISO and shutter speed must be configured), and 'priority' modes (where you set one and the other is automatically calculated). And again, you can always let the camera figure out what's best, with the Auto mode. The Theta V is no slouch when it comes to video, either. While you can't manually adjust ISO and shutter speed for video recordings, it does automatically correct white noise. Each file is limited to 25 minutes in length, assuming the camera doesn't overheat before then. Probably not. The Theta V is a very good camera. 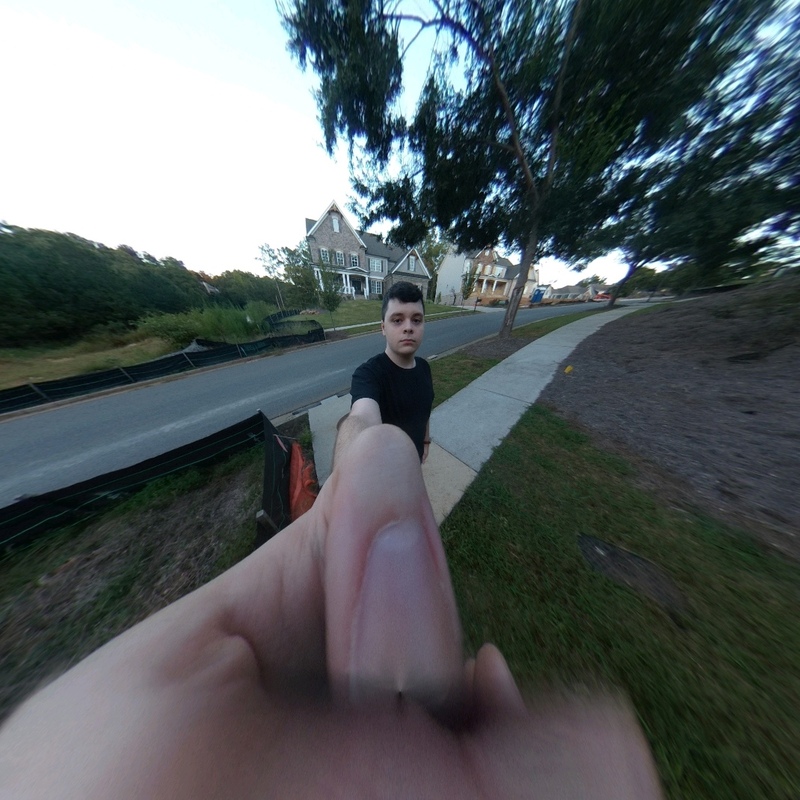 The image and video quality is good, the software is bug-free, and the mobile editing tools are great. Additional accessories, like the 3D microphone from Audio Technica and the underwater case, can provide even more functionality. The lack of built-in waterproofing and a microSD card slot are the main disadvantages. As great as the Theta V is, I really don't see a reason why most people should buy it. The camera costs around $400, depending on where you buy it from, which is far more expensive than most competing cameras. 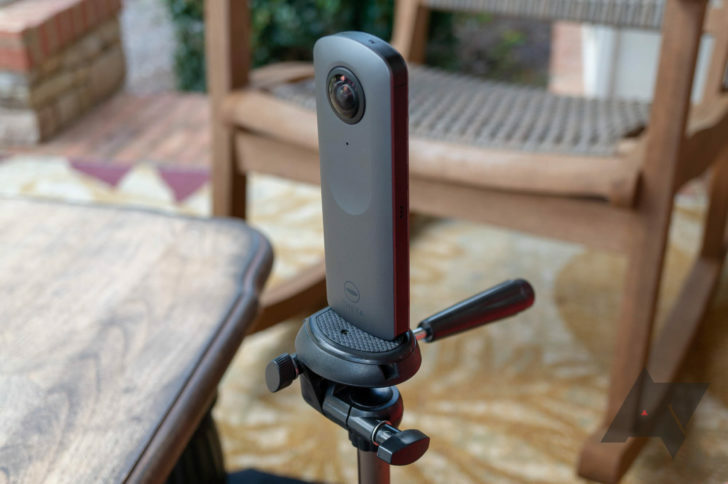 Xiaomi's 360-degree camera is $265 right now, and the Samsung Gear Live is under $100. 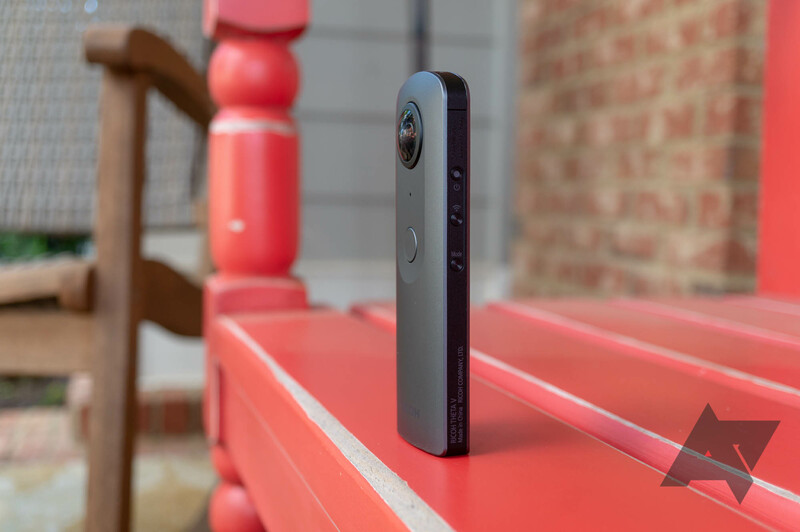 Unless you're taking full advantage of the Theta V's manual mode and first-party accessories (which are also very expensive), it's hard to justify the price. 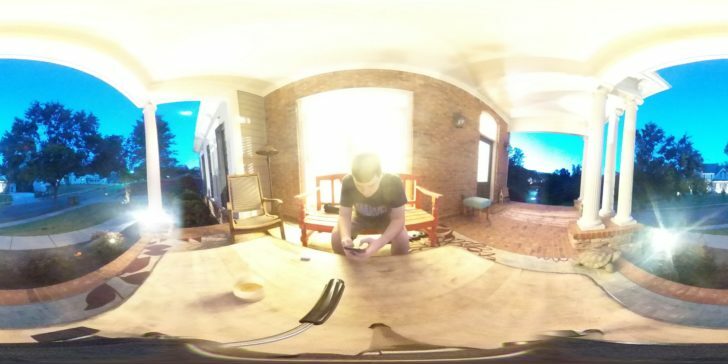 As mentioned in the title, the Theta V is very much like a DSLR. There are plenty of settings, and you can take excellent photos if you know what you are doing - but most people will be content with cheaper options. 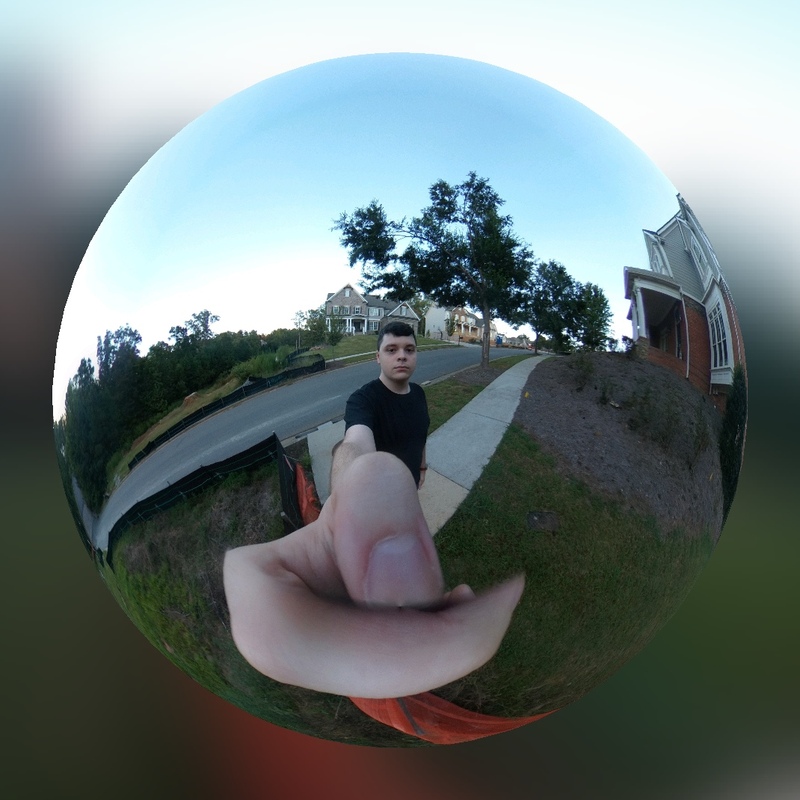 You have $400 to spend on a 360-degree camera. You need the highest quality possible in a portable form factor. You want a 360-degree camera for casual use. You don't absolutely need manual controls. 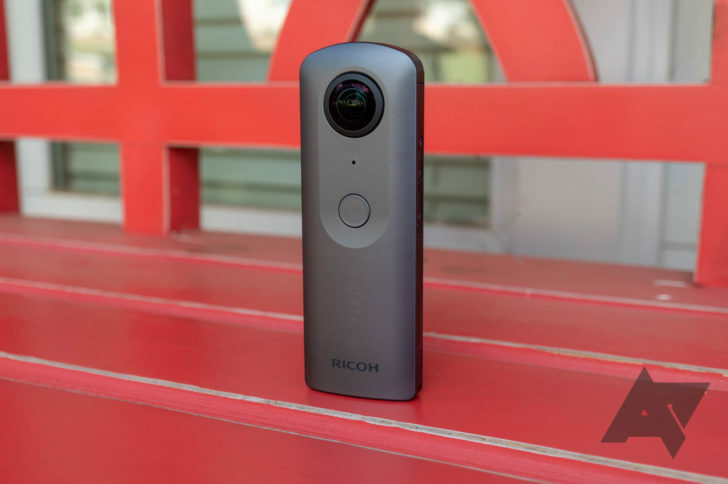 The Ricoh Theta V is available from Ricoh, Amazon, B&H, Adorama, and Best Buy.